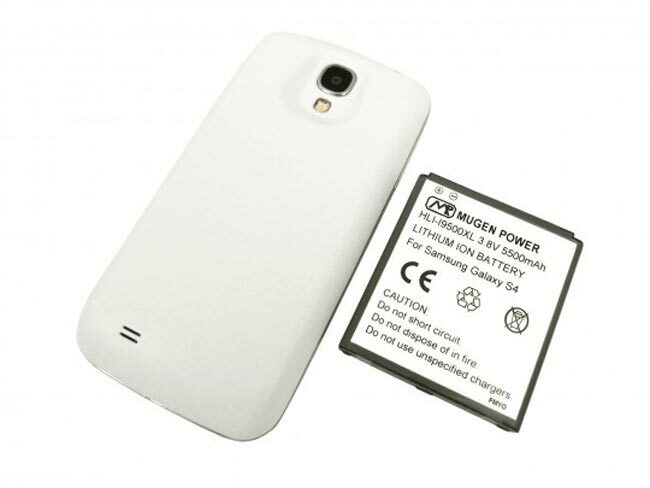 The Samsung Galaxy S4 comes with a 2,700 mAh battery as standard, although should you need a more powerful battery Mugen Power has just released an extended battery for the handset. The Mugen Power battery for the Samsung Galaxy S4 is a 5,500 mAh battery, which according to Mugen will give you twice as much power as the standard battery on the S4. The Mugen Power 5,500 mAh battery for the Samsung Galaxy S4 retails for $89.50, it also comes with a replacement back cover for the S4, you can find out more details over at Mugen.